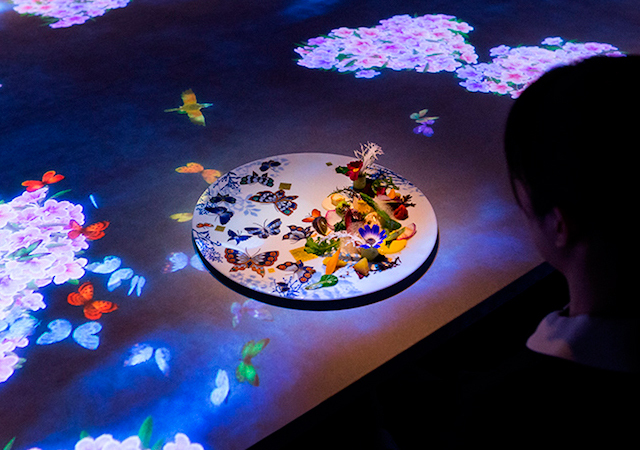 For all lovers of good cuisine and also want to enjoy an audiovisual experience TeamLab and Skullmapping have created the perfect balance between culinary and digital art. In Kierkegaard’s aesthetic, the instinctive pursuit of immediate pleasure represents the existential experience that art and its values bring about. 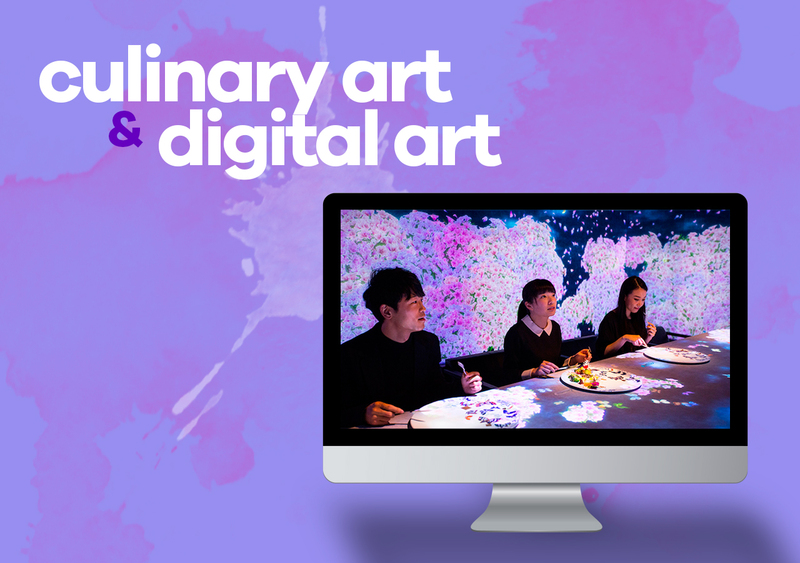 For gastronomy, the existential experience is the tasting of the work of art that is the dish, since if a piece of music has its score and a film, its script is similar to the kitchen and each work has its recipe. 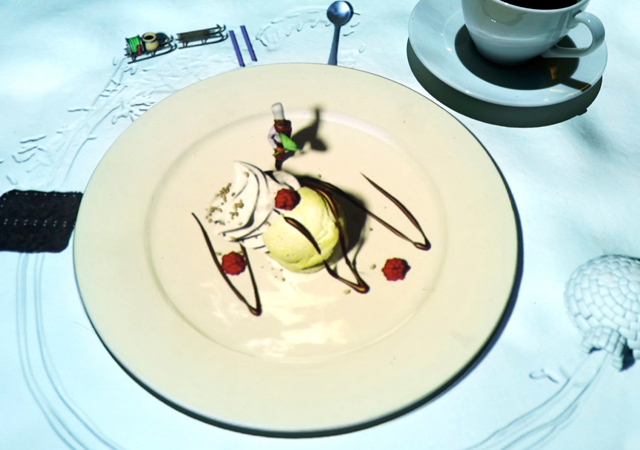 “Culinary art” is based on the idea of “eating to taste” beyond nourishing. 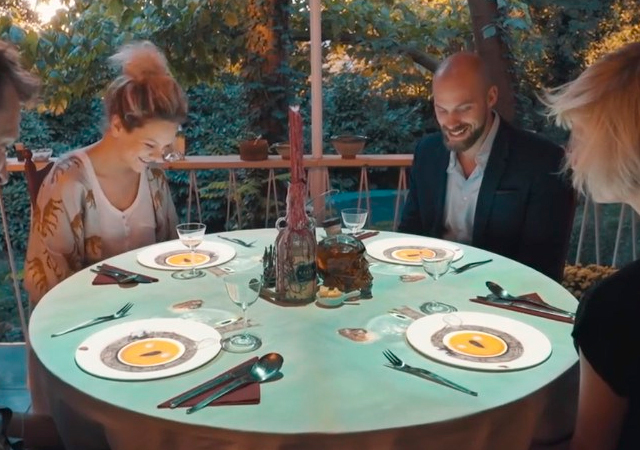 For that reason it offers a sensitive experience that is the one that can value the spectator, in this case the person who eats those dishes; But Team Lab goes further. 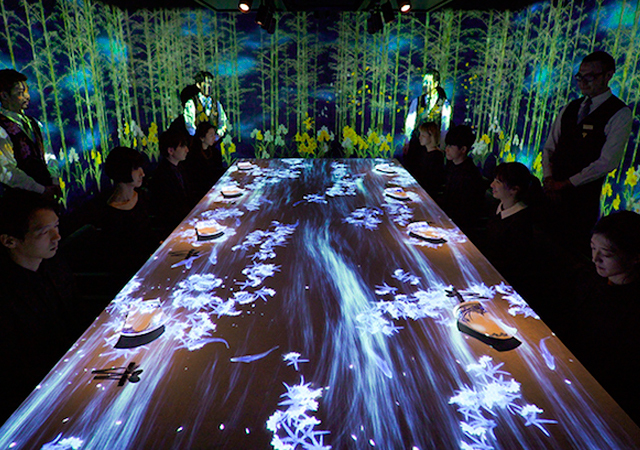 At Tokyo’s Sagaya restaurant, an experience is created that will stimulate all your senses with its staging titled “Worlds Unleashed and then Connecting” where Team Lab develops with each dish a stage design that allows the dish to be unfolded around the diner by immersing him thanks to his Graphics displayed by the walls and table in each of its dishes with a unique atmosphere, where only up to 8 diners per dinner. 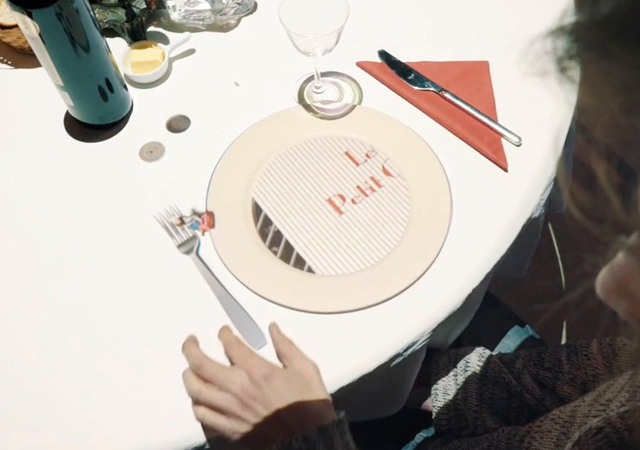 Perhaps similar to another project called “Le Petit Chef” projected by Skullmapping in Dinner Time Stories of Dubai and Abu Dhabi where a small chef recreates the adventures of Marco Polo projected on your table, telling a little story at the same time that the little chef cooks each dish. A perfect blend to open the appetite and your senses.